Not every optometrist is the same. Eye car involves much more than just a vision test for prescribing corrective lenses. First, you want to look for an optometrist that is certified by the optometry board of Australia. You also want to look for an optometrist that genuinely cares and is passionate about his or her work, keeping up with all the latest technologies. Having a lot of experience is another plus. Excellent customer service is also essential as well as feeling comfortable with your eye care specialist. If you have children, it’s nice to go to a health care professional that is used to working with children and has a good rapport with kids. Good vision is imperative so chose your optometrist carefully and find one you trust and can stay with on a permanent basis, so your eye care records are all in one place. An optometrist is a Doctor who has earned the Doctor of Optometry (OD) degree. The Doctor is trained to examine your eyes and look for health and vision problems. They aim to correct refractive errors by prescribing corrective lenses and contact lenses. Depending on their training some offer low vision care as well as vision therapy. The Importance of your Yearly Eye Exam – Don’t put it Off! Even if you feel your eyes are healthy and your vision is excellent, it’s not a good idea not to have annual eye examinations. Don’t wait until you have a problem. Think of your appointments as possible early detections. A yearly eye exam can prevent unknown issues from getting worse further down the road. Sometimes eye conditions are there before the symptoms show up. Believe it or not, your eye doctor can catch diabetes early on. Any eyeglasses or contact lenses that you are currently wearing and ask if you should stop wearing contacts for a few days before your appointment or not. List of any allergies or health conditions. List of any particular questions you may have because we tend to forget things when put on the spot. Medical insurance information if it covers any part of eye health care. Patient history including whether or not anybody in your family history has or had an eye disease. Vision tests such as reading eye charts, possibly your ability to see 3-D, peripheral vision, and colour perception. Glaucoma test that will be performed after putting numbing eye drops and testing eye pressure with a puff of air. Eye exam where more eye drops will be given to dilate your pupils so the doctor can have a clear view inside your eye. If the doctor spots any signs of high blood pressure, diabetes, or arthritis a follow up with your regular doctor or specialist will be recommended. First visits may take an hour or two while follow up visits should take less time. Nothing feels better than knowing you are taking good care of yourself. Good healthcare offers peace of mind that nothing else can. If you need corrective lenses, it’s nice to have an optometrist with a wide variety of frames to choose from for children and adults. Sunglasses too! The same goes for contact lenses, you may want clear or tinted, or enhancement lenses for aesthetic purposes only that have no prescription. Looking good is important as well as having good vision. You want to feel comfortable and attractive in the frames or lenses you are wearing. Salisbury Optometrist with Over 30 Years of Experience! Now that we have covered everything about optometry, I would like to discuss what we at Salisbury Optometrist have to offer you! We talked about peace of mind earlier, and we can guarantee you that. I have 30 years of experience as an optometrist. My name is Dion Stanbury. Come to our office to receive a comprehensive eye exam and quality glasses and well as excellent customer service. I specialize in all types of glasses and wear them myself. Even the more complicated multifocal or progressive lenses, contact lenses, and children’s. I am accredited to diagnose and treat eye diseases such as glaucoma. 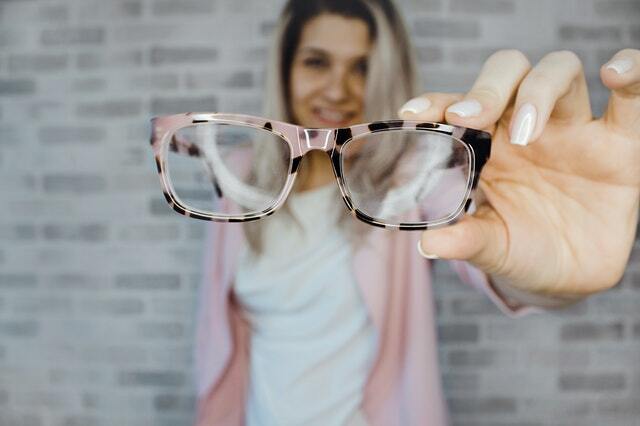 Multifocal or progressive lenses (same thing) are corrective lenses use to correct the complicated issue of presbyopia which most of us face around the age of 40. We can see far away but not close, and with glasses on to see near, we can’t see far away. Frustrating but a good pair of multifocal lenses can help you to see both without having two pairs of glasses. Or taking the same pair off and on again all day, which we know, is frustrating. Since I wear them myself, I specialize in this type of vision problem and can sympathize with you. Our office is equipped with a retinal camera, which is designed to detect diabetic retinopathy, macular eye disease, and glaucoma. We have an excellent ophthalmologist, Paul Athanasiov, who works here once a month to take care of your ophthalmology needs. We are also Medibank Private preferred and offer a no gap single vision glasses to all Health Funds. You can see that we genuinely care and offer everything you need for the ocular health of you and your family. Please browse our website for photos of our equipment and articles regarding various eye related issues. Vision can change in a one or two year span, so it’s imperative to keep those annual appointments. Sometimes a pair of glasses that are perfect for reading may not be ideal for your computer or laptop. Visit us, and we will make sure all your vision and eye health needs are met. Salisbury Optometrist is a place you can be comfortable, with a modern office located on 88 John St. Salisbury. To make your appointment call us at 08 8285 7100 or 0433-510695, we look forward to being a part of your regular health care regime.